If you need a chocolate fix, this is for you. Very yummy! In a large bowl, mix together the cake and pudding mixes, sour cream, oil, beaten eggs and water. 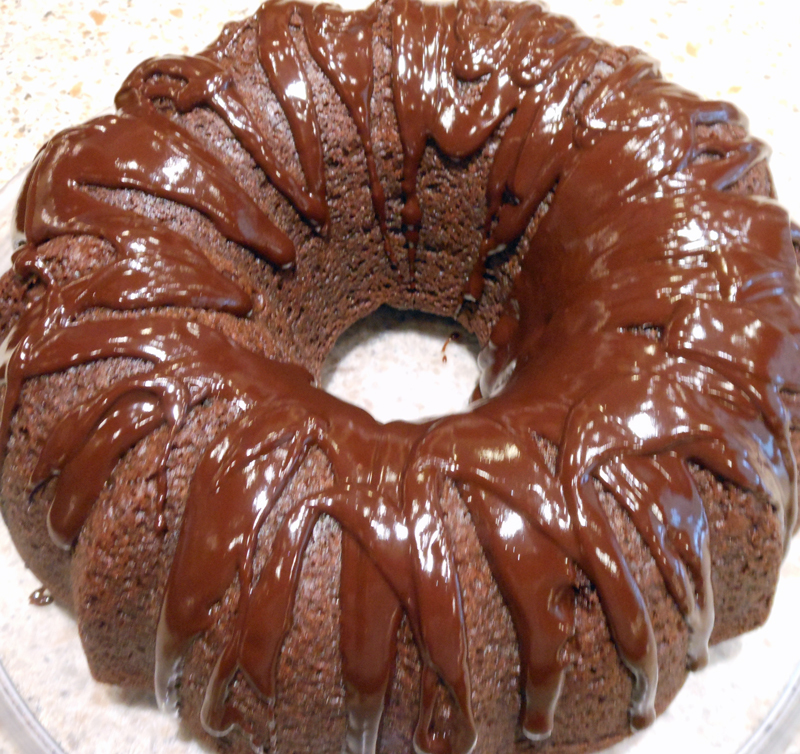 Stir in chocolate chips and pour batter into a well greased 12-cup bundt pan. Bake for 50 to 55 minutes, or until top is springy to the touch and a wooden toothpick inserted comes out clean. Cool cake thoroughly in pan at least an hour and a half before inverting onto a plate. If desired, dust the cake with powdered sugar or put a chocolate drizzle on it.